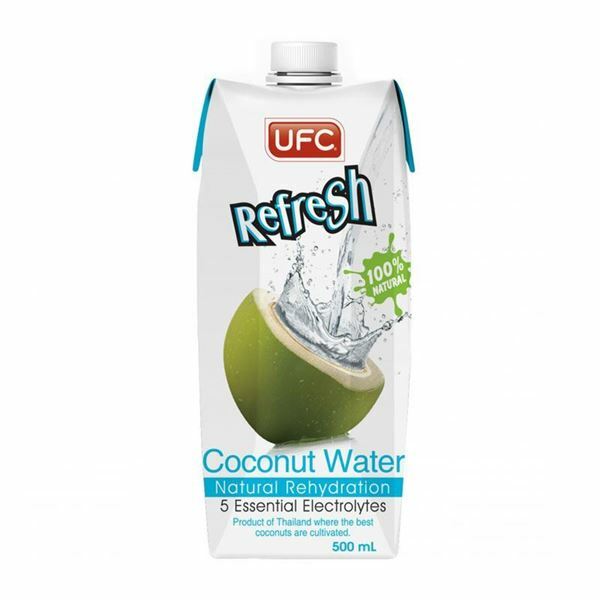 UFC Refresh 100-Percent Coconut Water, a natural and healthier rehydration drink for everyone. It contains 100-Percent natural coconut water, not from concentrate, with no added sugar, additives, colors and flavors, making it a healthier choice from sugar-laden beverages. It is also free of caffeine, fat, cholesterol, preservatives and gluten. In addition, the coconuts are harvested from plantations in Thailand's ?coconut belt? areas of Nakorn Pathom, Samut Songkram, Samut Sakhon and Ratchaburi, which all have waters with high salinity, thus giving the coconut water a unique and refreshing taste.